Can body works to repel dust, dirt and fingerprints; corner-mounted sensor design ensures accurate opening, easy reach and keeps operation 100% hands free; perfect fit for every room in your home or office. 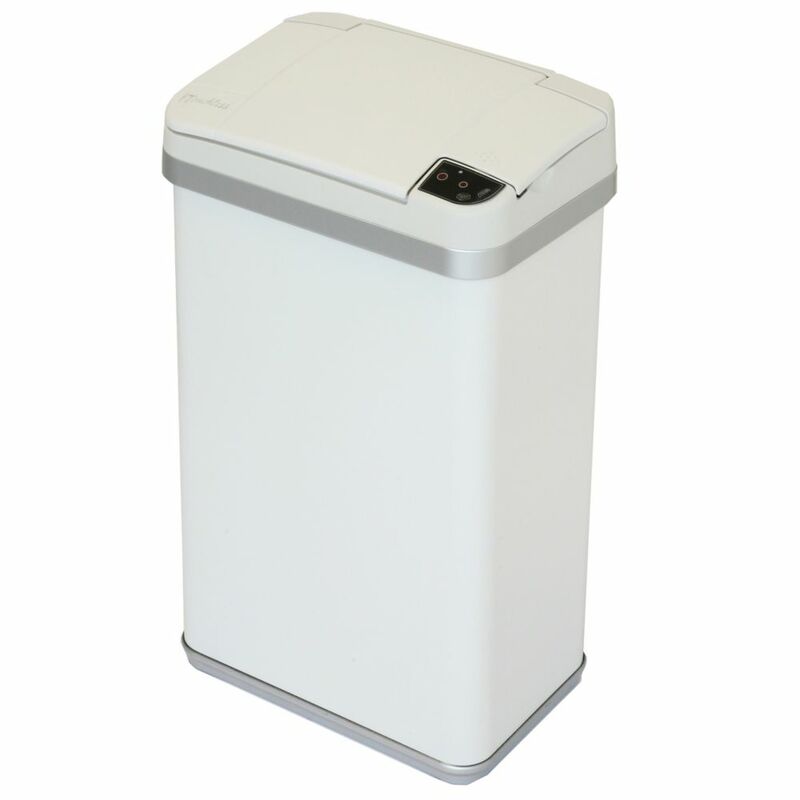 Multifunction Sensor Trash Can, Matte Finish Pearl White, 4 Gallon, 8.25-inch Opening Can body works to repel dust, dirt and fingerprints; corner-mounted sensor design ensures accurate opening, easy reach and keeps operation 100% hands free; perfect fit for every room in your home or office. Multifunction Sensor Trash Can, Matte Finish Pearl White, 4 Gallon, 8.25-inch Opening is rated 5.0 out of 5 by 1. Rated 5 out of 5 by Leonardo from Excellent product I've had this trash can in my bathroom for about a month, and so far, it works great. It's very nice and sturdy. I did find it a little overpriced ($84+tax) when I bought it, but as long as it lasts a few years (fingers crossed), it's worth the price.